WHO ARE... THE UNITED? A new day has dawned for the elite assemblage of heroes called UNITY, and, in the wake of the Armor Hunters' invasion, the time has come to grow their ranks. Who will be the next fearless hero to join the roster of the world's most elite superteam? And just what is the international strike force called THE UNITED - and why have they marked UNITY's own X-O Manowar, Ninjak, Livewire, and Eternal Warrior for elimination? 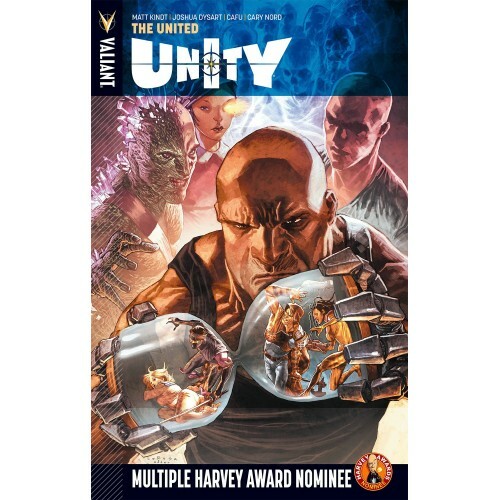 Join New York Times bestselling writers Matt Kindt and Joshua Dysart, and red hot artists CAFU, Cary Nord and Robert Gill as they look back with the Eternal Warrior to the trenches of WW I and the top secret missions of Unit-Y before detonating the planet's first superteam vs. superteam war right here with a bold new beginning for UNITY! 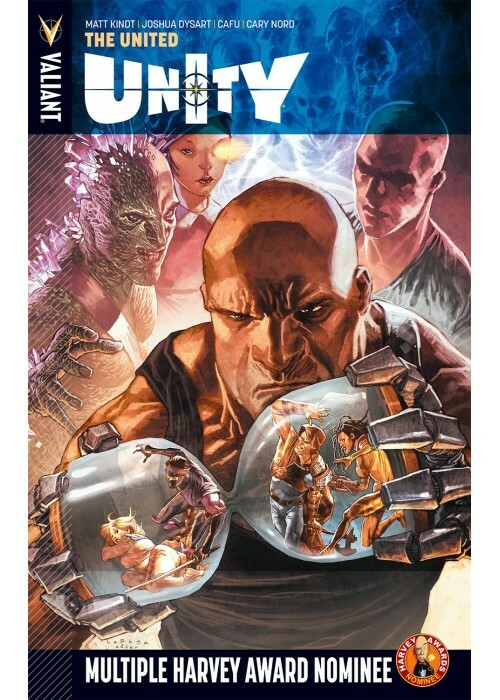 Collecting UNITY #12-14, UNITY #0, and Harbinger: Faith #0.